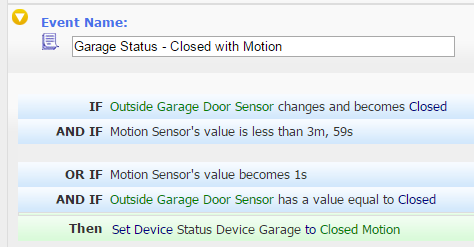 Let's say I have a tilt sensor and motion sensor in my garage and I want to indicate the garage door and occupancy status of both on my touchscreens. However, I have limited space on my dashboard. 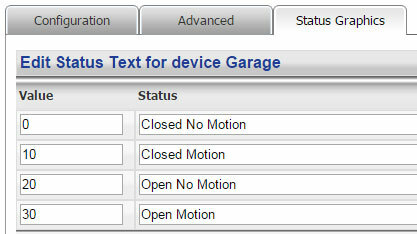 I decide to use a virtual device to reflect both attributes with one status icon. Save these icons to your HomeSeer HS3/html/images/HomeSeer/status/folder. Now, instead of adding the door sensor and motion sensor to your HSTouch projects, you just need to add this new virtual device to your projects!